Currently I have three different fabrics. The first is a 30d sil/pu coated nylon with a waterproofness rating of 2000mm HH. It comes in red, blue, olive green or gray. The second is a 15d silicone coated nylon (silnylon) with a waterproofness rating of 2000 HH. It comes in gray only. I still have 3 eVent Packas in size large available. eVent is a breathable fabric. The 30d and 15d coated nylon fabrics are not breathable fabrics. I will be offering a new breathable fabric Packa in the next few months. Important fabric information: The 30d nylon and the eVent fabrics have taped seams. The 15d silnylon fabric does not have sealed seams. The 15d silnylon Packas are manufactured with a poly cotton thread which swells when wet to close the needle holes and minimize leaking. I tested the 15d sample extensively and was satisfied with how the seams performed. I did get some leakage through seams in a storm, but it was very minimal. Your mileage may vary. Silnylon tent manufacturers recommend a manual seam sealing with a silicone based sealant and you can certainly do this to a Packa too. It is a tedious process that usually takes me a few days to complete.  Unlike a tent with long straight seams, the Packa has many curved seams. If you try to do too much at once, the Packa will flop around and you will end up with a big mess. To manually seam seal a Packa, you lay out a stretch of seam typically about 12 to 18 inches long, apply a thin line of sealant to the needle holes, and lightly push it into the holes with your finger. Let this dry for for at least 2 or 3 hours before moving to the next segment of seam. Back when I used to manually seam seal quite a bit I would do a segment in the morning, a segment when I got home from work, and a segment right before I went to bed. That's why it can take a couple days to do it properly without making a big mess.